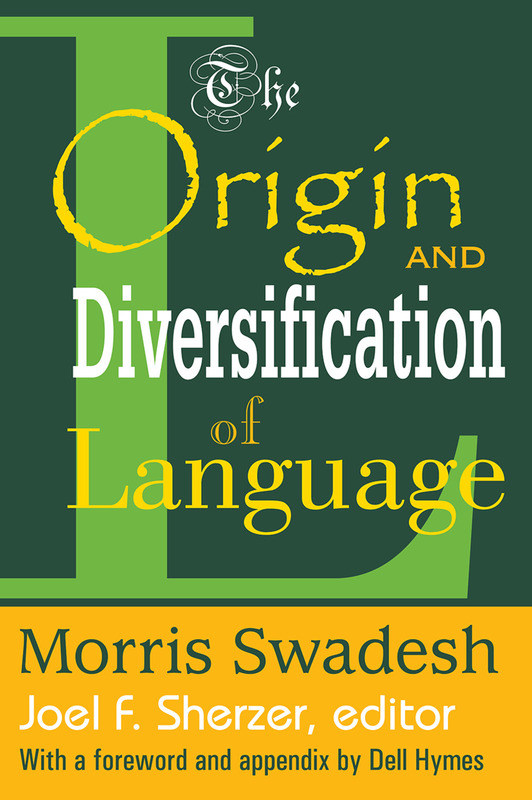 Morris Swadesh, one of this century's foremost scientific investigators of language, dedicated much of his life to the study of the origin and evolution of language. This volume, left nearly completed at his death and edited posthumously by Joel F. Sherzer, is his last major study of this difficult subject.Swadesh discusses the simple qualities of human speech also present in animal language, and establishes distinctively human techniques of expression by comparing the common features that are found in modern and ancient languages. He treats the diversification of language not only by isolating root words in different languages, but also by dealing with sound systems, with forms of composition, and with sentence structure. In so doing, he demonstrates the evidence for the expansion of all language from a single central area. Swadesh supports his hypothesis by ""exhibits"" that conveniently present the evidence in tabular form. Further clarity is provided by the use of a suggestive practical phonetic system, intelligible to the student as well as to the professional.The book also contains an Appendix, in which the distinguished ethnographer of language, Dell Hymes, gives a valuable account of the prewar linguistic tradition within which Swadesh did some of his most important work.